Who doesn’t love a new bag for spring?! Pastels are having a moment right now, and I couldn’t wait to pick up something bright and cheery for spring. One of my favorite new online bag shops, BaginShop.com offers some of the most fabulous bags at some pretty amazing prices! You can shop a huge selection of all kinds of handbags, including totes, clutches, satchels, hobos, and more! Traveling this summer? You can also find lots of great luggage here as well as laptop bags, messenger bags, and briefcases too! If you’re going to school in the fall, you can also find adorable and super chic backpacks at Bag in Shop too! I absolutely love this bag! When it arrived I was completely impressed with the quality, especially for how inexpensive it was. The bag is packaged nicely, and the inside is stuffed so that it doesn’t lose its shape while in travel. I rarely find this with less inexpensive bags, so I was completely impressed with the time Bag in Shop took to make sure my bag arrived in perfect condition and great shape! When I pulled the bag out of the box, I was instantly in love! 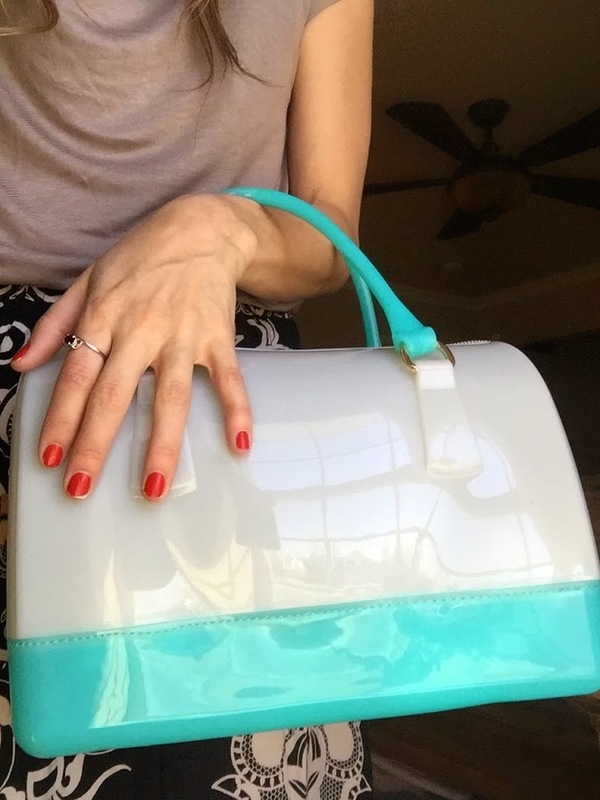 This bag is so cute, and I love that it’s plastic and not your traditional leather or suede. Totally on the lighter side for spring! It really is a great eye-catching bag for spring, especially with the fun pop of color! This bag is the perfect bag for taking from day to night too! Here I’m wearing it for daytime with a cute dress and flats, but I can easily switch out the flats for some heels and I’m ready for a night out with my gorgeous bag from Bag in Shop! I also love that the bag is a bit clear too. This ads a fun element to this bag. You can somewhat see the stuff in your bag, but it’s not too visible so if you don’t want the world to see what you’re caring around, don’t worry, they won’t! I’m completely sold on this bag, and I will certainly be shopping for another fabulous handbag for fall from Bag in Shop too! I love that I can find all the latest styles and trends, at a bargain! I’ve also bought a lot of inexpensive bags over the year, and am often disappointed with the bag when it arrives because its doesn’t look like what I ordered, or is just incredibly cheap. I was completely blown away with the quality of this bag, especially for the price, and loved that it looked to be every bit of amazing that the picture on the website shows it to be! It looks and feels like a bag you would pay big designer bucks for! 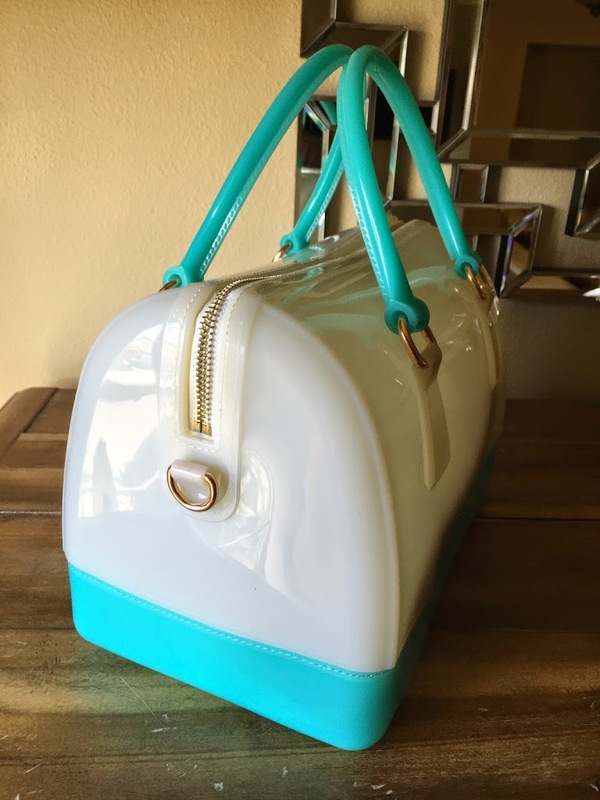 If you’re looking for a fabulous bag for spring, or perhaps some great luggage for your summer vacation, be sure to shop BaginShop.com today and save yourself some cash while NOT losing out on quality! *Thank you BaginShop for sponsoring this post! I was given this product for the purpose of review, however, all thoughts and opinions expressed in this post are solely my own. I only share reviews with my readers, I feel will be beneficial or informative in some way. Love this bag, really fun outfit. I like the shape of the bag. The colors and patent finish are great for sprint! Love the bag and it looks like it would be easy to clean too! Makes an outfit look great no matter what you wear. I love that bag. Super cute. I am always looking for great deals on handbags.I will have to check this out.Thanks for the review.I love the handbag you photographed. Super cute bag! I love the mint green accents. It’s perfect for Spring! 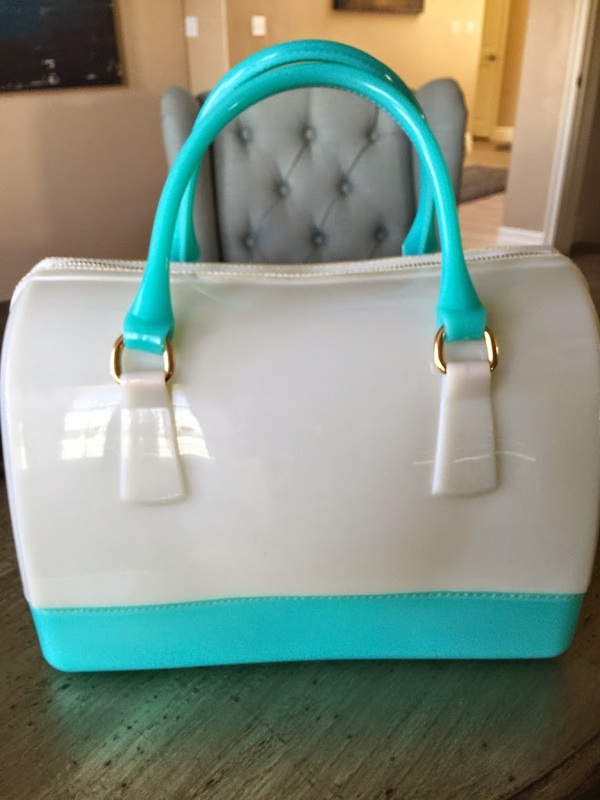 I just purchased a handbag in mint green from Kohl’s! I saw this bag on ebay, it’s like a jelly bag. they are cute!